A 72 yr old man woke up from a sound sleep, distressed and heavy laden with fear as though he was up from a nightmare. Eventually, he found himself completely drenched in sweat but abnormally his undergarments were bloodstained. An orthotolidine test proved it was blood that was mixed with sweat. Hematohidrosis also is known as Blood in sweat is a condition wherein blood oozes from the skin without any external injuries. The pathogenesis is explained by extreme stressful condition wherein small capillaries adjoining the glands break open and blood squeezes in through sweat glands. This incident took place at first in the Garden of Gethsemane where Jesus Christ prayed before His trial for Crucifixion. Imagine how stressed that situation would have been! where He had to suffer the cup of Wrath of God which was meant for people like you and me. The Holy Scripture says in Matthew 26:39 “My Father! If it is possible, let this cup of suffering be taken away from me. Yet I want your will to be done, not mine. 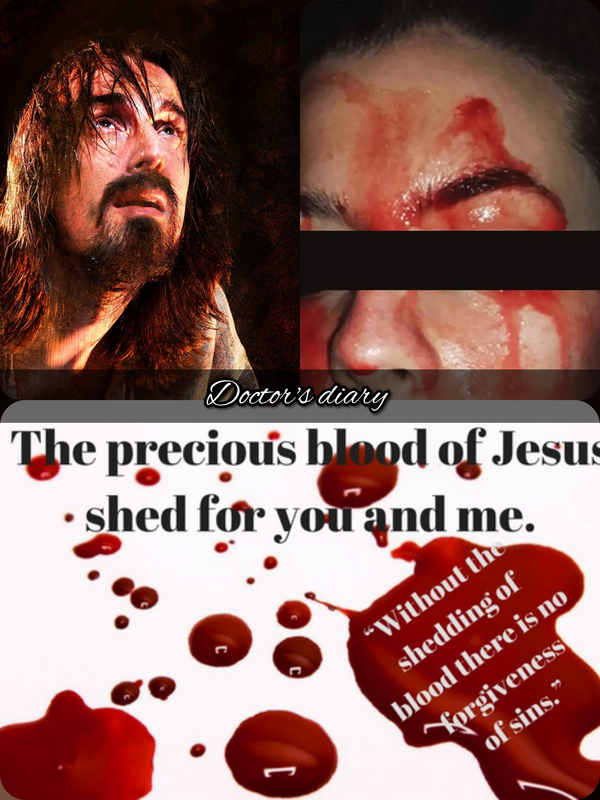 He suffered this just for our sake. God bless you.